Alper Akcay is from Istanbul, where he graduated from Istanbul Bilgi University, the Department of Visual Communication Design and completed his master’s degree at the same department and school. 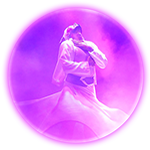 In addition to his education in Visual Communication, he has improved himself in the fields of movement and dance through workshops and contemporary dance schools. Anatoly Lomonosov is widely known in the musical spheres of the Baltics and Poland. 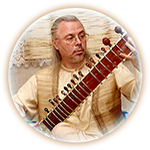 He was the first in Lithuania in faraway 1981, who started playing classical music of Northern India (Hindustani) on the Sitar. Antons Trocjuks studied at the music school of Emils Darzins and then at the music college of Nikolai Rimsky-Korsakov in St.Petersburg. 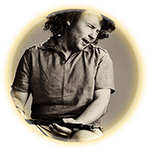 Artur Cinguyev has taken part in concerts and festivals around different countries of the world: Baltic states, Germany, France, Poland, Sweden, Netherlands, Czechia, Slovakia, Switzerland, Russia. 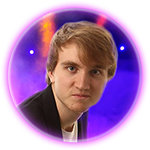 Dainis Tenis (born on 21 June,1992) belongs to pianists of the new generation. 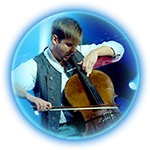 In 2004 he started his studies at Pardaugava Musical School under the guidance of Sine Docite. 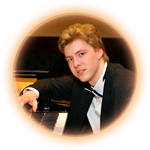 Due to fast progress, the pianist took the Top Honor Award in the contest «Latvian Talents 2007», which after he decided to dedicate his future to music. This is is not the first time for a virtuoso and incomparable master of the Daf play, Hamidreza Rahbaralam from Shiraz (Iran), has been to Latvia. He plays to full houses as here, as in Iran, Taipei, India, and Turkey. “Harabat-band” is a creative alliance of musicians from St.Petersburg Oleg Zaslavsky (Guitar, Tambour, Saz, Daf, Doira), Grigory Eorkin (Stick) and Andrey Kulyomin (Bayan). 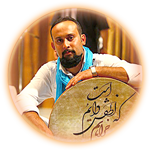 The band also cooperates with the Kurdish musician and composer living in Minsk, Masud Talebani (Sitar, Daf, Tombak, vocal). The band formed in 2010. 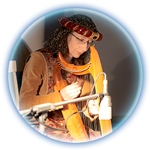 Versatile musician Lilian Langsepp began her music studies with Western classical music (piano, music theory and choir conducting), and she has a Bachelor’s degree in Musicology from the Estonian State Conservatory. Maija was born in Dobele, on 8 March, 1997. 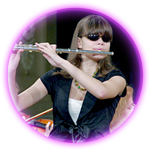 Since she was eight years old she has been acquiring mastership of the Flute play at Jugla Music School under the guidance of Iveta Larinya. 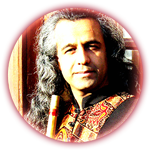 Mohammad Rasouli is one of those rare masters of playing the reed flute – Ney, who were recognized in the West. 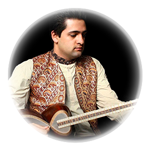 The Ney is one of the most ancient Persian musical instruments, with the history dating long before Common Era. Mohssen Hosseini was born in 1982 in the north of Iran, Golestan Province. He was learning “Tar” and “Setar” (Persian Instruments) for about 14 years from Fariborz Aziz and Keyvan Saket (Great Persian Maestro). Saulius Petreikis is a talented young man who professionally plays the trumpet and folk instruments of various nations: bansuri flute of India, Persian flute Ney, flutes of China, Celtic whistles, South African instruments, Armenian duduk, Australian didgeridoo and many more. 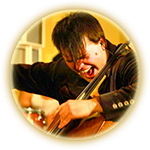 Valters Puce is a graduate of Emils Darzins Music Secondary School and Jazeps Vitols Latvian Music Academy, where he studied at Dace Puce’s, Mara Villerusha’s and Eleonora Testeleca’s classes. Valters studied also at The University of Music and Theatre “Felix Mendelssohn Bartholdy” Leipzig at the professor’s Peter Bruns.